When I was growing up, my mom made a LOT of Italian food. It was delicious, usually came in large portions, and was typically easy. My family is not Italian anywhere in our background, but that didn’t stop us from loving ALL the Italian things. Baked ziti? Check. Eggplant Parmesan? You bet, and one of my grandma’s favorites (and she was Jewish and German!) Chicken Parmesan, stuffed shells, manicotti… I could keep going. Marinara sauce in everything. And then of course, I married Chris – who has a Sicilian background. I finally have an excuse to make all the Italian food, right? Anyway, as my mom learned to cook (she was a horrible cook when my parents got married but learned from my Nana), one of the things she excelled at were Italian recipes. I learned them all from her, and one of the first ones I remember learning was her easy meatballs. To be honest, I think one of the reasons I learned this first is because of how cold the meat is when you mix it. I mean, I think my mom just didn’t want to do the mixing anymore! Anyway, today I’m sharing our easy meatball recipe – like anything else, it does change a bit from generation to generation – little tweaks here and there. I use a mixture of beef, pork, and veal, but by mom still uses beef and turkey. It really depends on what you like and is easily adaptable – you can do all beef, all turkey, add ground lamb, etc. Whatever your family loves. The best part about these meatballs is how easy they are – as in, they cook right in the sauce. There’s no browning, no cooking in the oven – nope, they go right in the sauce. 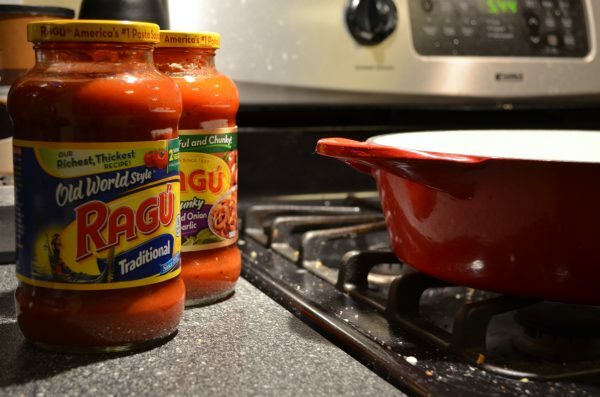 I sometimes make my own sauce, but I also love using Ragu’s sauces – there’s lots of different flavors to suit your taste. I typically use the traditional, but I also love so many of the others – chunky, spicy and mushroom. They’re super flavorful and make it easy to keep traditions like this alive in our busy lives. Enjoy! 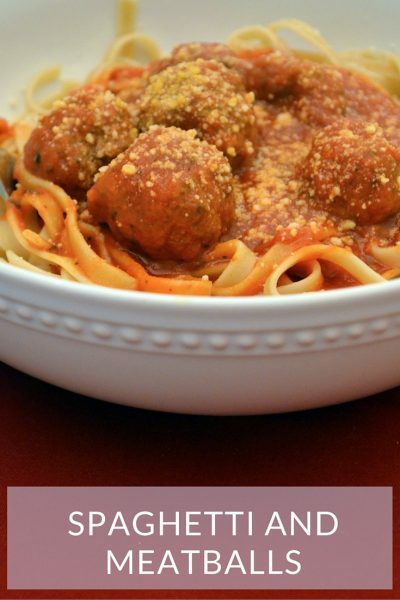 A classic spaghetti and meatballs recipe that's easy to make - the meatballs cook in the sauce! Bring the two jars of sauce to a simmer on medium-low in a large pot. At the same time, bring the water for the pasta to a boil. Add the first 7 ingredients to a large bowl. Mix well with your hands, making sure the ingredients are fully incorporated. Crack the egg into your hand and continue mixing - the mixture should be moist enough to stick to itself, but not so moist it slips out of your hand. If needed, add more bread crumbs to dry it out. Roll the meatball mixture into balls about the size of a golfball. Use a scoop if that's easier for you. Add the meatballs into the simmering sauce. Cover and cook about 20 minutes. Check the meatballs by cutting though one to be sure they're done. Serve! I usually do about a cup of pasta, 1/2 cup of sauce, and 3 meatballs per serving. Enjoy! You can absolutely edit the seasonings to what you like. Sometimes I add italian seasoning, sometimes I add oregano or rosemary, and sometimes I switch out the dried ingredients for fresh if I have them in the house (just use about 1/3 of the fresh than you would use dried). It's super easy to customize to what your family likes! I also often sub out the pasta for a spaghetti squash to watch my calories - so good! Sounds delicious! I’ve always been a huge Italian food fan and I’m happy to have married into an Italian family! I love that they have ziti at Christmas and lasagna as a course at thanksgiving. Though I think I could eat pasta more often than even my Italian in laws could! My thoughts exactly – thank goodness for marrying Italians! I love pasta waaaay too much so I actually usually eat this with spaghetti squash – not the same, but delicious that way too! I’ve got my own recipe for spaghetti and meatballs that I’ve been making for years but this definitely sounds delicious. I can’t wait to try! WHAT? Girl, stick with me. 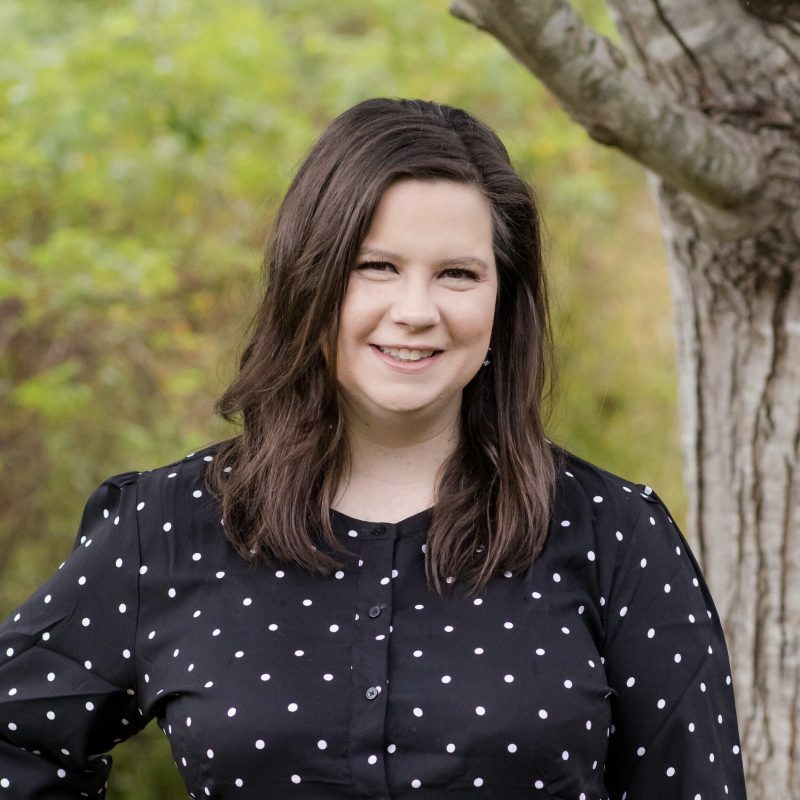 I’ll teach you to cook – come to DC?! ?